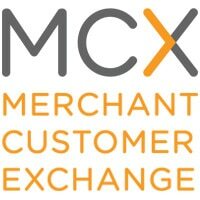 Walmart, Target, 7-Eleven, Best Buy, Publix, Sears, Shell and Sunoco are amongst a dozen major merchants that have formed a new company called Merchant Customer Exchange (MCX) that will provide an alternative to services like Isis and Google Wallet. The merchants forming MCX are responsible for US$1 trillion in annual sales and include many of the biggest names in the US retail market. 7-Eleven, Alon Brands, Best Buy, CVS Pharmacy; Darden Restaurants, HMSHost, Hy-Vee, Lowe’s Home Improvement, Publix Super Markets, Sears, Shell Oil, Sunoco, Target and Walmart are all signed up for the project today and MCX says it expects to announce additional members during the coming months. Future plans call for MCX to be able to “address the needs of financial institutions and merchants of all sizes to better serve consumers in the growing mobile marketplace” — suggesting that the founders see MCX becoming a full competitor to mobile payments services like Isis and Google Wallet. No details have yet been provided regarding the technology to be used by MCX to deliver its mobile wallet solution but, the group says, “the application will be available through virtually any smartphone”. “As merchants, no one understands our customers’ shopping and payment experience better than we do, and we’re confident that together we can develop a technology solution that makes that experience more engaging, convenient and efficient,” said Best Buy’s president of financial services, Mark Williams. Any idea where MCX will be based?